Microsoft provides a complete range of BI tools, making a suitable solution available for all kinds of information needs. Cost-effective standard reports can easily be distributed through Reporting Services, with or without using reporting models in Analysis Services. For corporate wide information with dashboards, fast analytics and ad hoc tools the Microsoft BI tools integrate seamlessly with Office and Sharepoint. Blog Did Power BI just kill Data Mining? 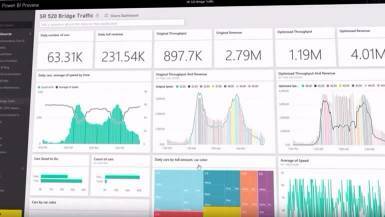 With Power BI Microsoft has an accessible data discovery tool. In a simple way, without any technical knowledge, new insights can be extracted from a variety of sources. Whether or not the data is stored in a database in Excel or Salesforce. Power BI is a combination of PowerView (for assembling drag-and-drop dashboards), PowerPivot (own multiple data sets linking) and Power Query (self-service BI). Mobile Report Publisher is a tool one can be easily create (mobile) KPI reports. It was also known under the name Datazen before it was acquired by Microsoft in 2015. The tool is part of SQL Server Reporting Services 2016 (also known as SSRS) and without using additional licenses. With Mobile Report Publisher, you can make connection to Excel files or shared datasets in SSRS. The KPI reports made in the Mobile Report Publisher can be placed in the Report Server Web portal for distribution or can be viewed in the Microsoft PowerBI app on any device. SQL Server Reporting Services (also known as SSRS) is part of SQL Server. Chances are that you already have this in house. With Reporting Services reports can easily be developed and distributed. Reports can be created using Data Tools in the, familiar for developers, Visual Studio, or using Report Builder. From both environments, reports can easily be placed in the Report Server web portal for distribution. For this, it does not matter whether the data is stored in SQL Server or not. SQL Server Analysis Services (also called SSAS) is part of SQL Server. It makes fast access to large amounts of data possible. Both in multidimensional mode (classic OLAP) and in Tabular mode (in memory analytics engine), it is possible to 'browse' through the data quickly. In Analysis Services are reporting models are created with Data Tools that can be used by Microsoft's own BI tools (e.g. Power BI and Report Builder), but also by many BI tools from other providers. 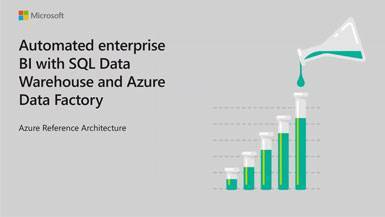 As underlying foundation of countless applications, the SQL Server database is the Microsoft platform when it comes to data. However, SQL Server also includes a full suite of business intelligence tools, for both reporting and advanced analytics. It is for this reason that Ensior uses SQL Server as the basis for the data warehouse product Ensior Datawarehouse Automation. SQL Server Integration Services (also known as SSIS) is associated with the SQL Server and is a workflow-based data migration, integration and transformation (ETL) tool. Integration Services integrates seamlessly with the SQL Server database engine.